In anticipation of the holiday rush, we took a sleigh, harnessed reindeer and enjoyed a ride across the planet to find out unique customs for welcoming New Year worldwide. Out of sight, out of closet! The Italians celebrate the holiday at night from December 31 to January 1. They are known for their volcanic character and habit of giving vent to their emotions, it seems that it is the only life style they know. So, no wonder they observe and expressive New Year’s Eve tradition of throw out not only old stuff, but everything of which they simply got tired. The closer it comes to solemn moment, the more dangerous it is to walk the streets, so, do watch your head on New Year’s Eve: clothes, household appliances, toys, kitchenware, furniture – everything is falling down! 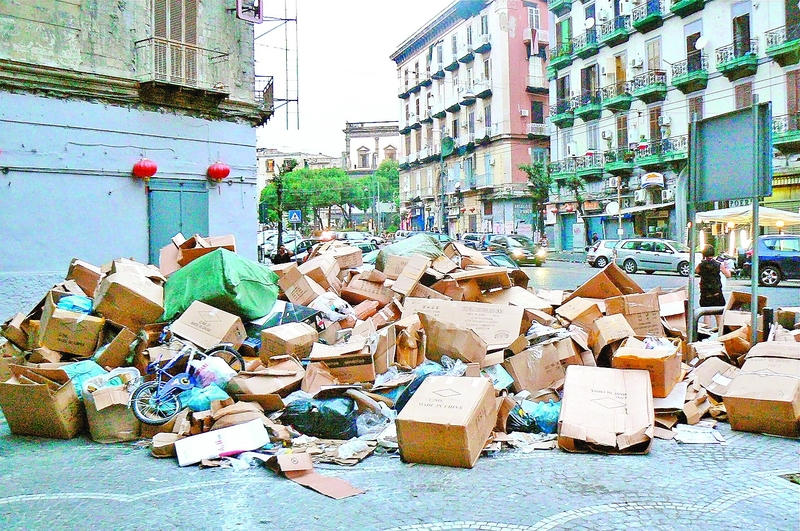 It is believed that if you get rid of junk till the stroke of midnight, in the coming year there will be more new things. As for the festive meal, without which the Italians just will not approach the festivetable, it consists of lentike - flat roundels of lentils, dzampogne - pork leg with spices, and kotekino – home-made sausages. In the morning it is important to wake up as early as possible and go to the well, or at least to the supermarket and bring to the house some "new" water. If on the way one have met an elderly man, it is believed that the year will definitely be successful. Particularly superstitious Italians can wander for hours throughout quarters in search of an old man. 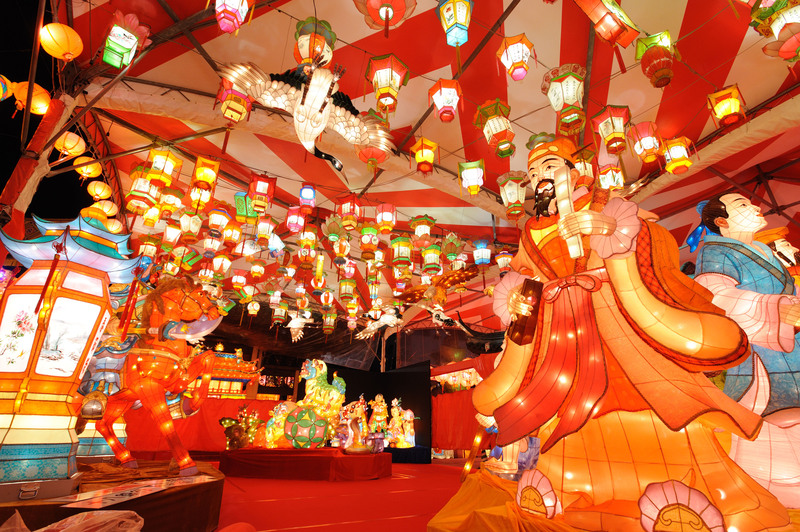 The Japanese also follow the Gregorian calendar, so their celebration falls on the same date. This day people take a break from work to spend time with their loved ones, and of course, exchange gifts. The main gift is... a rake. According to ancient tradition, happiness is not something ephemeral, but it has to be literally raked in from the outside into home. Therefore, the mentioned tool decorated with design is the most popular present. Even small children receive this present from Segatsu San, a local analogue of Santa Claus. Gala dinner in the Land of the Rising Sun traditionally consists of pasta, symbolizing longevity, rice as a token of prosperity, and beans to bring health. Another custome to usher into the new year, is to laugh during the first seconds of the holiday in order to bring good luck. Mandatory attribute of celebrations of New Year, or Old Night as it is called in Ecuador, is the burning of Agno beho - a life-size figures, stuffed with paper and newspapers. 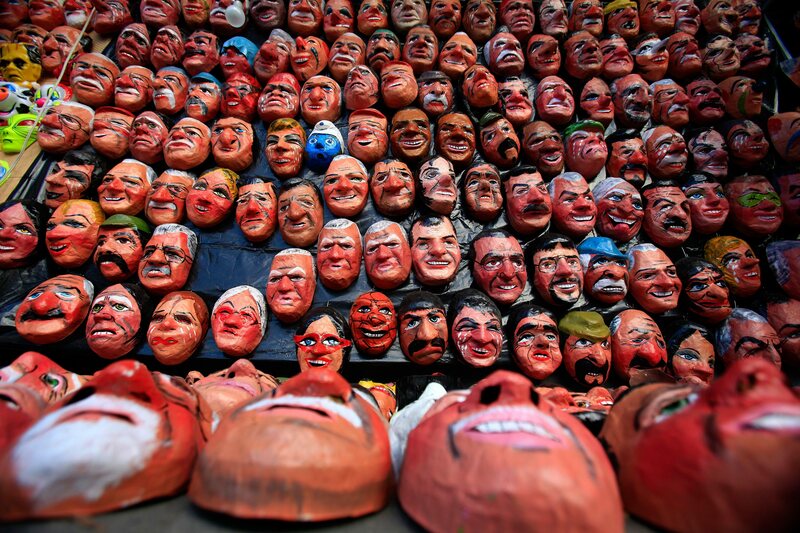 Instead of faces, these scarecrows have papier mache masks mimicking local politicians. Accompanied by cheering and dancing, these effigies are burned in the central squares, and the government cautiously watches this ritual, extant since the time of the Indians. Those did not burn their leaders, but purified them with fire, so if the leader of the tribe was justly elected, he did not die and headed the community even better with new energy. The Dutch celebrate holiday of Oude-Niewe, which translates as "old-new". They are real daredevils, since despite the rather harsh climate, January 1 they spend on the beach and swim in a very invigorating waters of the North Sea. This procedure is sure to be followed by hot meal including pea soup, meat dishes, and homemade cookies. In contrast to the quiet and family-friendly Christmas, the New Year in the Netherlands is a street fun. Residents of Amsterdam, for instance, gather at the squares of Leidseplein and Nieuwmarkt, where they drink champagne and admire fireworks. It is a custom to celebrate till the morning, to sit in bars and cafes, to warm up with traditional drink slam, which ingredients are tea, cinnamon, hot milk, cloves and nuts. 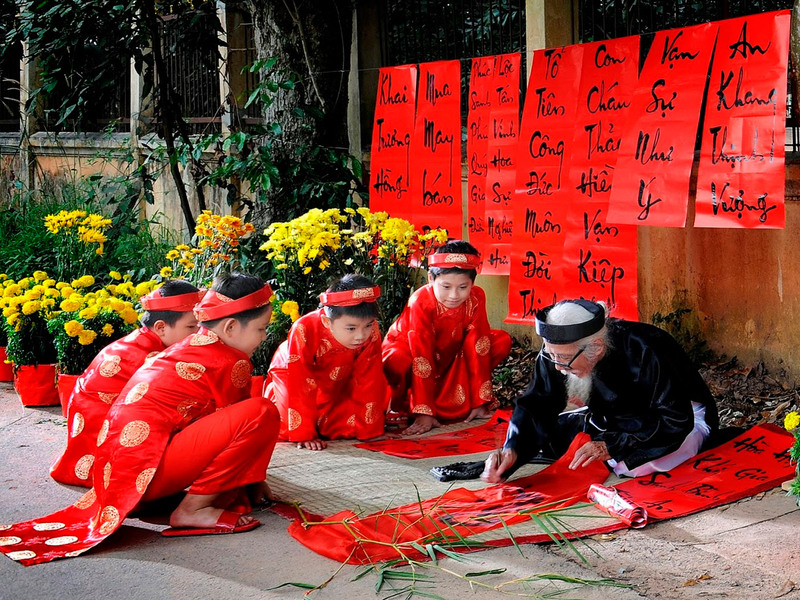 In Vietnam, one of the most important holiday is called Tet. It falls in the period between January 21 and February19, when the early spring comes. Thus, the arrival of this season is a great excuse to have fun under the branches of blossoming peach trees. At night of celebration, everyone shall forget all the insults and make noise as much as possible. The star of the feast is 5 fruits sorts of which can vary, but the amount shall remain unchanged. The symbol of the holiday is a carp. According to legend, on the back of this fish Spring sails to people, so each family tries to buy an alive carp in order to release it into the water in the morning. We sum-up our selection with very touching celebration in Bulgarian style. In this country, where the holiday is celebrated at night from December 31 to January 1, survived a bizarre tradition to switch off all the lights for three minutes in a house after the clock strikes 12. These 180 seconds are devoted to kisses, in such a way, without many words, it is possible to wish to person all the best in the coming year. There are so many things that Italy mixes in its cauldron: gondolas that travel along olive-green rivers, scorching sun that, like a juice, flows into the bottle of Pisa Tower, entwined spagetti of streets and crusts of squares covered in a mixture of Italian herbs and dialects. Also, it has ducks in its teasury. Oh yes, it is these creatures that allow you feel a flavor of genine national distinctive. And this ducktale is over thirty years old. A mini toast, a slice of cheese and a sip of strong coffee. "That is not a buffet!" a waiter will pronounce indignantly, looking at the disgruntled tourist’s face. The generous Ukrainian soul cannot understand how locals manage to eat their full with that. Therefore, before going to a new country, you need to know exactly whether in the evening you should prepare a couple of sandwiches to indulge them in the morning, whether you need some vegetables, or even some extra litres of water! Upon hearing word combination “Hindu woman” an image of a beautiful woman wearing sari and definitely with numerous adornments and pictures on her body emerges in our imagination. Where does passion for body decoration come from in national traditions of this people? We continue publishing author’s column of Sabina Safarova on traditions of Azerbaijan.We have already learned about the matchmaking and the engagement, and now OUTLOOK proposes to plunge into the traditions of rituals and xinayaxdi – henna nights ceremonies which precedes the wedding itself. Experienced tourists believe that one of the best sure-fire ways to quickly tune into the beat of another culture is to try local food. In order not to be at a loss when choosing dishes and save precious time for spiritual food, Outlook gives you selective advice on street gastronomy from seven spots of the globe. OUTLOOK journalist Elena Rasenko came back from Japan and launches a special series of articles devoted to this country. Warning for very sensitive readers: Beware! After reading, you will get a keen desire to break away, buy a ticket and fly to such a marvelous and fascinating Land of the Rising Sun! OUTLOOK was lucky to visit hospitable Uzbekistan and get better acquainted with crafts of this amazing country. Today we'll tell you about art of golden-stitched embroidery that has long been considered the art of the nobility. We will tell you about mediums artisans use, secrets and unique distinctives of this craft. Feel the world with us! All over the world, winter brings bright celebrations to people's homes, the traditions of how to celebrate them are born. The customs of one state differes from the other but people from different corners of the planet are equally waiting for miracles, pleasant surprises and a good fairy tale. On the eve of the New Year holidays, we decided to ask the diplomats about the peculiarities of New Year and Christmas celebrations in their countries. Few of us, while our favourite tea is steeping, are scrutinizing about the way this drink went through to get into our mug. Of course, stereotypically, we know that most likely it came from India or China, but in fact origin can vary. In the world there are about 30 countries which are very seriously engaged in tea business, and within this community a very clear hierarchy emerges, headed by the so-called Big Tea Seven. A Ukrainian woman with Azerbaijani blood Sabina Safarova respects her family roots and, being a member of the Union of Azerbaijani Youth in Ukraine, popularizes the culture of her country. Today, the story of a girl about one of the most interesting traditions of Azerbaijan - matchmaking, we are launching her author's blog, which will be filled with cognitive facts and subtleties of manners. "A poor peasant lived in a remote Gagauzian village, and wealth of his was his three sons ..." so begins one of the folk tales composed by the Gagauz people. This Turkic people really lived a not wealthy life, roamed the villages, feed sheep... When a family gathered together to have some rest, old and young composed legends in their own way explaining the phenomena of nature noted by a curious and observant eye: why crows are afraid of people, why geese gabble, why an ant has thin waist, and what happens when you put fox and wolf in one harness. Outlook often tells about the kitchens of the peoples around the world, but when it comes to Italy, writing about the country should be a crime. Each of its twenty regions has its own culinary world with the subtleties and specialties. Let the title of gastronomic capital of Italy be Bologna, its official capital - Rome, too, has something to boast about. We are telling you what is remarkable about Roman cuisine and what dishes are worth trying in the Eternal City. OUTLOOK was lucky to visit hospitable Uzbekistan and get better acquainted with crafts of this amazing country. Today we tell you about art of straw work, about materials that craftsmen use and what secrets and unique features of this craft are. Feel the world with us! In this day and age, it is difficult to surprise anyone, especially an urban resident, with some large department store or market, since nowadays one can buy everything from a humble convenience store next door. However, the iconic bazaars and flea markets are still operating across the globe, they are famous in legends and described with delight. Well-known is that they turn shopping into a cultural exchange and are much more than just a commercial place for the sale of goods. ‘Love evolves when one looks in the eyes of the person beloved seeing there God’, in such a way the lines of some Arabian song called Qawali is translated. The authorship of this chant is ascribed to Eastern strangers Sufi who tending to find the sense of existence strolled around the half an Earth bare-footed. In the travels they composed songs where they told narration describing what they had to endure. Traditional Japanese kabuki theatre has always been a mystery to the European mentality: only an expert on the culture of the Land of the Rising Sun can understand a play without guide’s tips. It is said, the easier it is, the better we feel, however, is it always like that? We know that not all the nations follow this principle. Outlook has found out the strangest, toughest and hard in articulation international languages and would like to share it with the readers. Ice cream with a taste of horse meat, pickled insects, fish with deadly venom, etc – Japanese cuisine has things to surprise, amaze and shock you with. And truth be told, enumeration of these dishes doesn’t help my appetite at all. But we are not after exotic stuff. True culinary tourism is an attempt to comprehend mindset and feel national distinctive color through traditional cuisine – not try most exotic dishes. Parts of people’s souls, its history and culture are actually concentrated in national dainties. Yesterday I created a Universe. I took some peas, rice, buckwheat, millet, black and white pepper seeds and cardamom. Grabbed a handful of coffee and aniseeds. Then it all acquired a centre. It kept growing and calming my thoughts. When the last seed landed in the circle, I felt forgotten harmony again, heard birds singing through the noise of cars on the avenue, sensed fragrance of violets that a neighbor of mine was growing on her balcony and a recollection of Funtik from floor 5 and his tail evoked a flush of tenderness towards the shaggy monster.